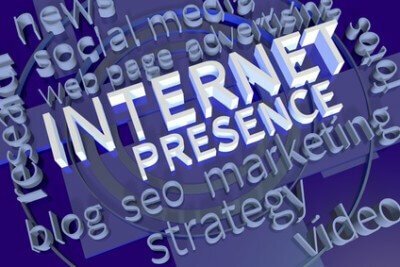 Your Webpresence? How Are You Noticed? Website: Create professional engaging website. This is the face of your business online and should give visitors favorable impression of your business and make them comfortable doing business with you. Mobile: Making you website mobile-friendly is extremely important. Mobile traffic is now exceeding the desktop/laptop traffic with many businesses. You need to select the right mobile strategy for your business and your mobile site has to be easy to use on all devices. Your customers and prospects also have to be able to find you with mobile search. SEO: Optimize website for search engines; make it easy for clients and prospects to find you as their solution provider for the products or services you offer. Focus you SEO on the prospects you want to reach, in the geographic location you service. Is your business local, national or international? Your site needs to have local and mobile presence. Social Media: Expand your reach using social media. Set up social media pages, Facebook, Youtube, Twitter, Linkedin. Dive traffic from your social media presence to your website or landing pages. Reviews: With more than 90% of consumers researching online before ever contacting a business, positive public business reviews are very important for every small business. Make it easy for customers to give your business good reviews. Ask customers to review your business online. Conversions: Maximize conversion rates for the traffic you already have. Understand what your customers are looking for.